If you’re in the middle of planning your big day, you’re probably experiencing at least a little wedding anxiety. You’ve put so much time, effort, energy, and money into making it the perfect day, and the stakes can feel really high. At the same time, there are so many details and moving pieces, and you ‘re worried that you may drop a ball or forget something major altogether. These feelings can quickly zap the joy out of planning and make your engagement feel like a time of stress instead a time of love. 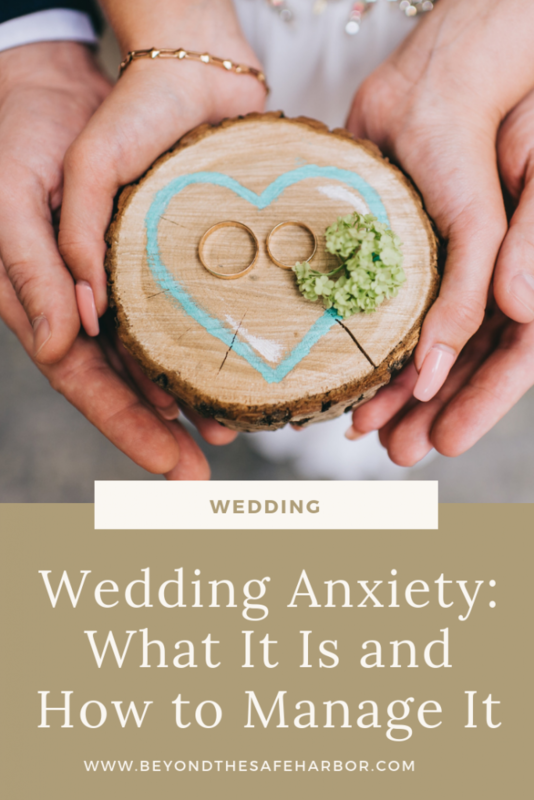 In this post, we’ll be talking about how to manage wedding anxiety to make life easier. A quick Google search shows that anxiety is “a feeling of worry, nervousness, or unease, typically about an imminent event or something with an uncertain outcome”. Whether you experience feelings of anxiety every once and a while or have been diagnosed with an anxiety disorder, we all know that feeling of worry and nervousness as we think about something happening down the road, or worry about the repercussions of something that has already occurred. Wedding anxiety is the feeling of unease about our big day. And it’s something most, if not all brides face to some extent. Anxiety before the big day is really common. 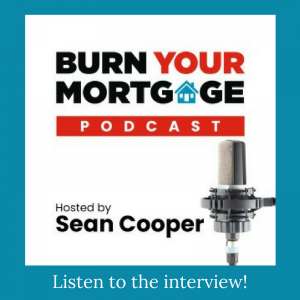 This can be anything from being worried you’ve chosen the right vendors, to managing disagreements with family members and everything in between. Surprisingly, I actually found I was most anxious AFTER my wedding. Weird, right? The big day was over, everything went well, and we were about to leave on our honeymoon. What could be wrong? Whether it was my perfectionist tendencies or just wanting everyone to have had the best time, I began worrying about everything. Did anyone notice how bad the wine was? (Our venue had ordered the wrong kind.) Were people too hot to enjoy the ceremony and dinner? Should we have confirmed that they had more fans and better air circulation before our wedding? Did I look silly holding up my dress walking down the aisle? (It was SUPER windy!) Is it bad that I wasn’t emotional? What does that say about me? But my biggest anxieties were around the time I spent with people. I tried my best to say hi to everyone, but I definitely spent more time with the people I see less often. Do my close friends and family feel slighted that I barely spoke to them? Should I have made a bigger effort with this person or that person? Do these people think I’m rude for barely speaking to them, especially given they had to travel to be there? No matter how hard I tried, I couldn’t shake these thoughts from popping up. It made me scared to reflect on our wedding. But the worst was feeling like there was something wrong with me. This is the happiest time of my life, I thought. Why am I so caught up in my anxieties that I can’t enjoy it? Am I always going to reflect negatively on the wedding? And when will this negativity spiral end? I share this with you not to scare you, but to share my experience in case you end up feeling similar. No, there is nothing wrong with you. And yes, these worries will pass. It’s completely natural to feel stressed and anxious around such a momentous life event, especially one that you spent so much time and effort planning. Whether you’re experiencing pre-wedding anxiety or feeling worried after the big day, there are some concrete things you can do to lessen its impact. One of the best ways to beat overwhelm and manage your stress levels is to break your work into chunks. 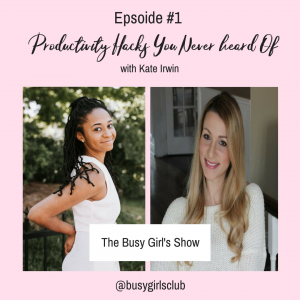 This helps beat the overwhelm and creates more structure. Having a monthly to-do list and then breaking that up into weeks will make your life so much easier. 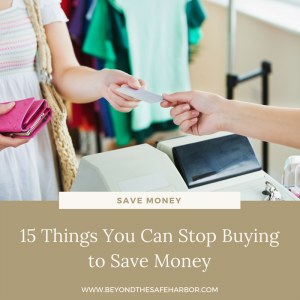 No matter how much you try to avoid them, additional tasks will undoubtedly creep up like buying a thank you gift for your bridal shower host or extra communication with a vendor. To save your sanity, start early on the big things and work ahead where you can. Even adding one additional task to each week or month can add up to way less stress down the road. Looking for inspiration? My post 10 Wedding To Dos You Should Conquer Way Early highlights some of those tasks. It can be tempting to want to take on all the planning yourself (control freak right here!) but this can just lead to burnout faster. Instead, look at what tasks you can get help with. Your partner, parents, and bridal party are great places to start. Pick tasks that don’t need a lot of input or guidance on your part, since they’ll be easier to delegate. Talking to others can be a great tool when you’re experiencing anxiety. Worried about how a particular part of the day will flow? Ask a close friend or family member for guidance, or talk out multiple different scenarios. Feeling the post-wedding blues? Voice your feelings with your partner. Often, once we speak our concerns, they lose some of their power and we can see things more clearly. Are there things that are particularly stressful that you can avoid? As I mention in my post How to Plan an Affordable Wedding: 10 Insanely Smart Ideas, there are plenty of things you can either cut out or scale back on to simplify your wedding, save you money, and lower your stress. Even if you cut back on a few things, you’ll see a difference in your wedding planning workload. My Wedding Budget can help give you visibility to where you’re spending so that you don’t have any surprises. It can be really helpful to just step away from wedding stuff, either leading up to the big day or right after it. Spend time with friends and family, dedicate some time to a hobby or something you love doing, or connect with yourself. Things like meditation and journalling are fantastic in times like these. Check out this article from Bustle which highlights 7 Journal Prompts That Will Help You Tackle Anxiety. I hope those tips help you manage your wedding anxiety as you gear up for (and wind down from!) the big day! Have your own advice for what’s worked for you? Please share it in the comments! And check out my Wedding Planning Resources for a round up of helpful posts and tools. In particular, I think you’ll find How to Plan Your Wedding With Confidence and Ease to be useful.